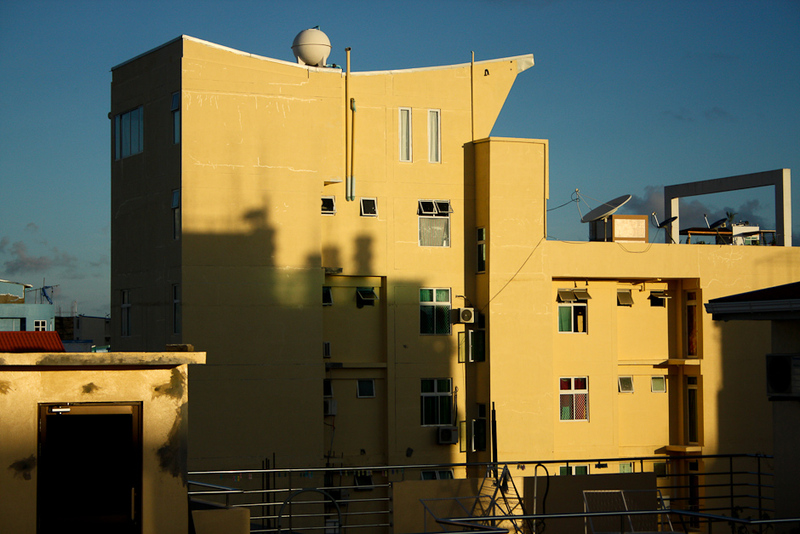 A yellow building in my neighborhood, interesting design, don't you think? Due to space constraints, most of the building are designed with small space living in mind, and hence has little to no aesthetic appeal. However, lately, there have been a trend to make those concrete structure a little pleasing to the eye. At least from the outside. Mostly with choosing good color combination and good quality paint. Interestingly the building has a head (see the boiler on top of the building) that is disproportionate.